Meet Arctic Junkie Margo Pfeiff, who has visited Nunavut 26 times. Q: How many times have you been to Nunavut? A: Since 1992, I’ve made 26 visits. My first assignment was for Reader’s Digest and I really didn’t want to go north of the Arctic Circle to Hall Beach in the middle of February. I was prepared to hate it. 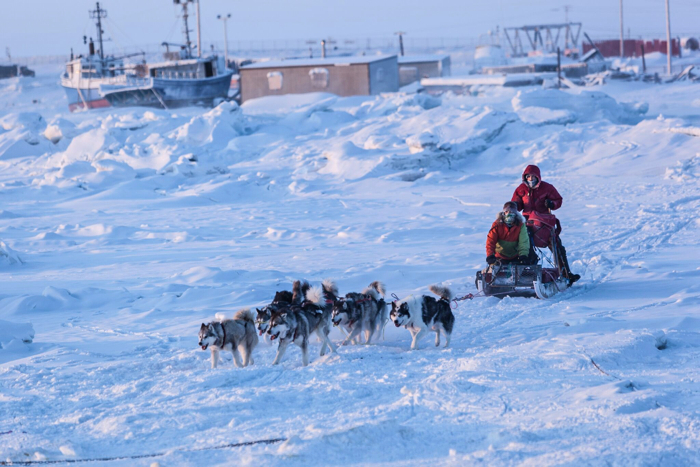 But within 24 hours, after walking around beneath an arctic sun on frozen sea ice amid trapped icebergs and mingling with Inuit dressed in traditional clothing for their Hamlet Day celebrations, I was completely dazzled, enchanted and hooked on the Arctic. Q: Why do you keep returning? A: Mostly it’s the otherworldliness of the landscape that draws me back, especially in winter when it often feels like you’re on another planet. Although days are very short depending on how far north you are — which rattles something very elementary in your brain – there are still long and slow hours of dusk and dawn and low buttery light during the daylight hours that are magical. 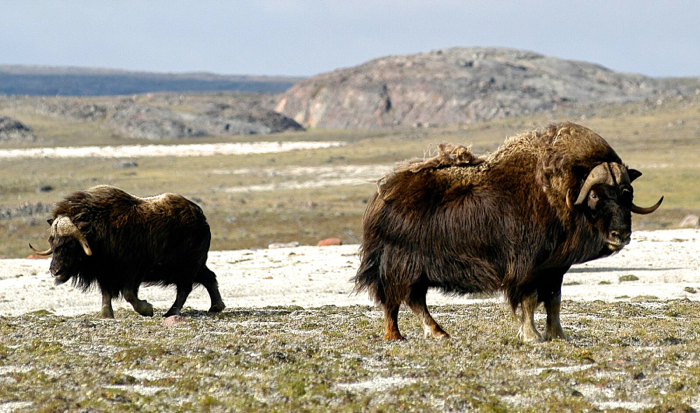 In summertime, it is dramatically barren and spectacular — a super-sized environment of jagged mountain ranges, ice fields, glaciers, musk ox and polar bears that is easy to appreciate. But it’s also a meditative place where some of the most amazing insights come from taking time to stop and examine the diverse ankle-high forest that is the tundra, dotted with wildflowers in sun that shines all day and through the night! There is something very special about the light in the Arctic. Q. Do you get to spend time with people who actually live there? A: All the time, especially in the 24 hamlets outside the capital of Iqaluit (population 7,000) where people are very friendly and welcoming. Most outfitters, whether they’re adventure expeditions or Arctic cruise companies, employ Inuit who speak English to enrich the experience. Community celebrations and feasts in the hamlets are especially fun. The Inuit love games and competitions, often played outdoors. In winter, special events move indoors to school gyms or community centres. Elders will park themselves on the floor with a sheet of cardboard where they will slice up and share a shank of caribou or fresh, raw seal meat, handing it out to the excited crowd. Inuit have a very strong sense of community. Hamlet hunters will go on local radio and broadcast that they have extra meat or fish, inviting those who want or need it to come around to take it. 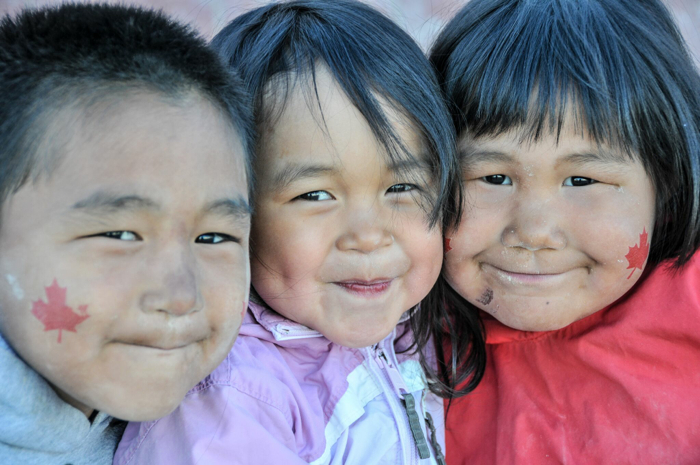 Once you get to know Inuit, you are friends for life. I still keep in touch with folks I met on my first trip there 25 years ago. Q: What was your favourite trip to the Arctic? A: That’s hard to say since the trips were so diverse – hiking through Quttinirpaaq, the world’s second most northerly national park on Ellesmere Island, spending a month on an icebreaker, and kayaking around icebergs off Baffin Island spotting pods of narwhal and beluga whales. Bumping over sea ice by dogsled on a walrus hunt and watching Inuit printmakers and sculptors creating world-class art in the no-frills hamlet of Cape Dorset. Wild blueberry picking on the tundra and laughing with a group of elderly Inuit ladies and kids, each of whom had a wicked sense of humour. Building my first igloo and then sleeping in it. Q: What do you make a point of packing when you go? A: The most important item for me travelling to Nunavut in summer is airplane eye patches for sleeping. I find it impossible to be sleepy when the sun is shining – even if it’s midnight or 2 am! Anything even remotely close to 24-hour light messes with your inner clock and you’ll find yourself with inexplicable jet lag in your own time zone. Also, with everything flown or sea-lifted in, luxury and heavy items are very costly and rare, even in Iqaluit. I never leave home without several bars of my favourite Swiss chocolate (I bring extras as they are also greatly appreciated gifts for locals), a bag of roasted nuts to nibble on and a handful of my can’t-live-without English breakfast tea bags. Q: Has the Arctic changed you, and if so, how? A: Absolutely! In many ways. It can be a harsh and unforgiving environment for those who don’t know what they are doing. By doing soft adventure trips like kayaking and hiking in both summer and winter I gradually learned how to live with and enjoy the environment – how to dress in various extreme conditions, keeping dry and warm, reading the often quick-changing weather to stay safe. It has put me much more in tune with myself and with my surroundings, even after I return South. I now understand how Inuit are so comfortable and drawn to being “on the land” where there is a strong sense of inner peace. Also, their resilience as nomadic people undergoing massive cultural changes is remarkable — going from igloos and sod houses to iPads in one generation! I always come away from the Arctic filled with awe and inspiration. Q: How would you advise a first-time visitor to explore Nunavut? 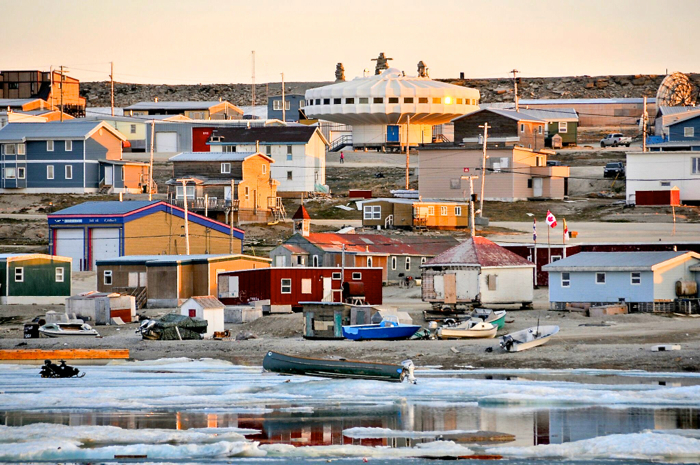 A: Travelling around Nunavut is expensive and often complicated as there are no roads between communities or connecting the territory to Southern Canada. 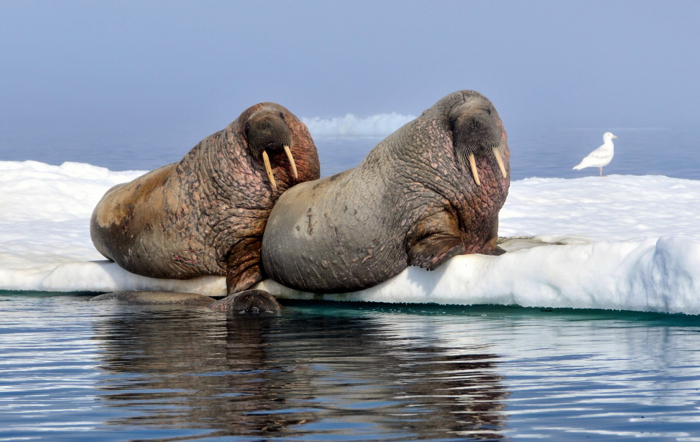 I would recommend Arctic cruises which have become very popular in recent years as they provide a floating hotel that hopscotches between communities and offers opportunities to see dramatic, remote scenery as well as wildlife en route. Usually there are also knowledgeable Inuit and Northern experts in a wide variety of fields on board for passengers to mingle with. For the more adventurous, I’d recommend a floe edge trip at the beginning of the sea ice break-up in spring off Northern Baffin Island. Travel by snowmobile-drawn sleds to the edge of the ice where whales, seals, polar bears and seabirds gather in a feeding frenzy after a long winter. Camp out comfortably in tents on the frozen sea; a high level of fitness is not required. It’s truly an Arctic safari!